We Find Wonderful Homes For Pets in Nebraska! Need to rehome a pet in Nebraska? 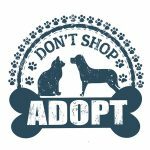 Pet Net / Find My Pet A Home offers a compassionate pet rehoming service by knowledgeable and experienced pet adoptions professionals. 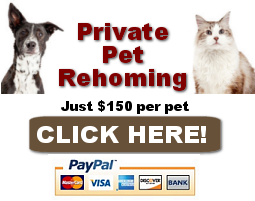 We can help find your pet a home safely, effectively and inexpensively. In the event that the new owners are unable to fulfill their promise to provide a home to your pet for any reason, our Nebraska pet rehoming team will continue to look for a good home until the perfect one is found. There is no additional cost to you, and you can rest assured that your pet’s future is in the best of hands. Our Nebraska dog rehoming team offers expert dog rehoming services throughout Nebraska. Many dog owners face the difficult choice of rehoming a dog or puppy, and our team is here to help. Cat rehoming services are also offered by our Nebraska cat rehoming team. Our staff of conscientious cat lovers have a wealth of experience and know-how when it comes to rehoming your cat. Finding yourself in the difficult situation of having to rehome your pet is hard enough! Let our caring Nebraska pet rehoming services team help find your dog or cat the perfect home today. Call us toll free throughout Nebraska at (888) 720-3322. You can also text “Nebraska Pet Rehoming Services” to (888) 833-2128. A member of our team will respond to you as soon as possible during business hours. We are here for you and your pet! Need to Rehome a Pet in Nebraska? Nebraska pet rehoming. Find a good home for your dog or cat in NE. Safe, effective and affordable pet rehoming services. Call (888) 720-3322. Need to rehome a pet in Nebraska? We offer compassionate pet rehoming services by knowledgeable and experienced pet adoptions professionals. We can help find your pet a home safely, effectively and inexpensively. Nebraska pet rehoming services. We help owners find good homes for dogs and cats in Nebraska. Call (888) 720-3322. NE dog and cat rehoming.